Why did we choose to commit to an environmental cause like this? The international family of Gift Baskets Overseas and many of its devoted audience are concerned about the future of our planet, the only one we have, and we share a strong belief that sending emotions and happiness across global borders should contribute to the Earth’s protection and well-being. As an institution that has already created over 100 protected ecosystem areas across Latin America, Africa, and Asia, Rainforest Trust is the best partner to turn our commitment into reality. To learn more about the programs we support with our donations, which are a percentage of the sales of carefully selected gift baskets available for international delivery, today we sat with Marissa Max, Corporate Giving Officer at Rainforest Trust, and ask her to share the most valuable stories about the success of conservation projects around the world. What’s the most massive action being taken now to save endangered species and habitats? Rainforest Trust currently has efforts underway to increase protection to over 32 million acres in the coming years, and these sites are estimated to provide a place of refuge for 63 percent of the world’s bird species, 42 percent of all mammal species and 25 percent of all amphibian species. How does Rainforest Trust make this happen? There are a few different ways we establish protected areas: through the partners’ direct land purchase, the designation of national parks and reserves, or the creation of community conservation areas where local residents help maintain the sites to ensure lasting protection. How much of the donations you receive are actually used to support the cause? One hundred percent of gifts to the SAVES Challenge (Safeguarding Areas Vital to Endangered Species – project to drastically reduce deforestation at the global level) are used to support the creation of new protected areas across the globe; these donations do not fund Rainforest Trust’s overhead or operating costs, which are supported by its board of directors and a few key foundations. Rainforest Trust has also repeatedly received a 4-star rating (the highest possible rating from the independent evaluator Charity Navigator) and maximum 100 percent overall rating, highlighting that donations to the nonprofit are used efficiently and effectively. 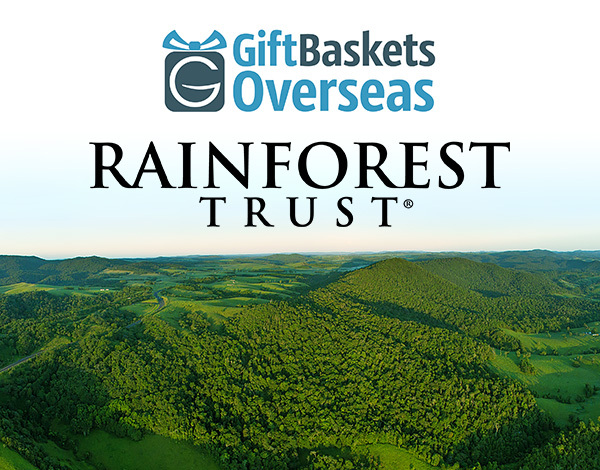 How do you see Gift Baskets Overseas’ role in supporting the Rainforest Trust programs? Being a part of the Conservation Circle corporate program, a premiere business group for environmentally conscious organizations, Gift Baskets Overseas’ donations will support Rainforest Trust and our conservation efforts by helping to purchase and protect real acres of tropical rainforest. Please tell us more about the successful projects to protect forests from unsustainable use. Let me share a story with you about the local communities we are working with in Cameroon at the Douala-Edea Wildlife Reserve. This project has been fully funded, thanks to support from our donors, and help from our Conservation Action Fund, which helps fund our most urgent work. For local women living in the area surrounding the Douala-Edea Wildlife Reserve, the forest is not just a collection of tree communities, providing shade and protection—it is their livelihood. This is their home. This is where they raise their children and take care of their families. This is where they celebrate special occasions like weddings or holidays. In this part of the world, using mangrove wood as fuel for smoking fish is their way of life. What they don’t realize, though, is that the way they are extracting the mangroves from the forest is unsustainable. The processing techniques used when burning the wood in their smokers also has negative impacts on community health and environment. In order to help protect the rain forest, while also preserving the community’s culture, Rainforest Trust in concert with our local partner have helped create improved smoke ovens that burn wood much more efficiently, thereby lessening the impact upon the rain forest. Not only are these smoke ovens more sustainable, they also help minimize the time local women spend gathering wood, which translates to more time spent with their families. A main component of this effort is increased education, wherein women at the Mouanko Women and Family Promotion Center receive training with these improved smoke ovens, and instructions on how to train other women to build and operate them. The women return to their communities where they lead training sessions to educate others on value of the improved smoke ovens, and how best to process natural resources that benefit both their livelihood and the surrounding forest. Now, both the local community and the wildlife reserve can both thrive. And what about some particular endangered species saved from extinction? Could you tell us more about some of them? There is a story from our project in Eastern Cape, South Africa. We are working to protect the critically endangered Amathole Toad. The project is now fully funded, but we are still working with our local partner to officially get the area declared with Protected Area status. For children growing up in the Amathole Mountains of South Africa, conservation starts at a very young age. As they attend their classes at school, they begin to learn about the animals that call the surrounding high-altitude montane grassland and forest areas home. They are taught the importance of biodiversity, and how keeping the habitat safe for these animals also affords benefits for the students themselves. These include future job opportunities like working as forest guards or educators, or simply the guarantee of a clean water supply for themselves and their families. In celebration of World Wetland Day in February, teams of community volunteers associated with our local partner in the field visited the schools to teach the children about the importance of wetlands. The students were given the chance to build a miniature wetland using a two-liter bottle, soil, gravel, stones, and plant material. During this time, the volunteers presented information regarding wetland protection and the positive results the students would see from these conservation efforts. The benefits include natural water quality improvement, flood protection, shoreline erosion control, and more. The shallow water of the wetlands also provides high levels of nutrients, feeding organisms that form the base of the food web like many species of fish, amphibians, shellfish and insects. With this hands-on experience, the students learned more about the wetland ecosystem while participating in a fun but practical way. Educational programs are so important to ensuring a sustainable way of living in the future! Do you have more examples? Yes, we actually do. Rainforest Trust’s local partner in Brazil, REGUA, has an education program designed specifically for school-aged children in the districts around the REGUA Reserve. The children visit the project site, and spot endangered or vulnerable species such as the Endangered Southern Muriqui in the trees. REGUA officers mentioned that “nothing can be more gratifying than recognizing the smile on the children’s faces as they share in these activities.” In addition, REGUA hosts a formal Young Ranger program, which is now in its 12th year. As part of this program, children participate in activities like tree planting and river clean-ups throughout the year, earning recognition for their achievements. 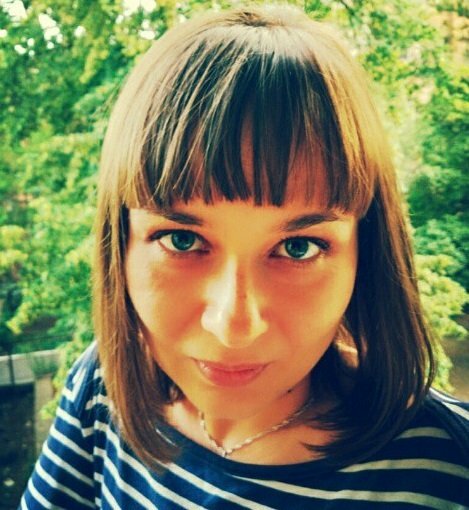 They also go on excursions to help broaden the minds of the students, by connecting them to people who are similarly concerned with the quality of the natural world around them. All of these activities help the children to understand the project’s objectives and ultimately support their mission. Visit Rainforest Trust website to learn more about their programs and initiatives. Visit our Gifts to Save our Planet page. Select the best gift to send to your loved ones. 10% of your purchase will be donated to support Rainforest Trust global projects! Share the love with your friends, loved ones, or business associates worldwide: send one of the gifts today!